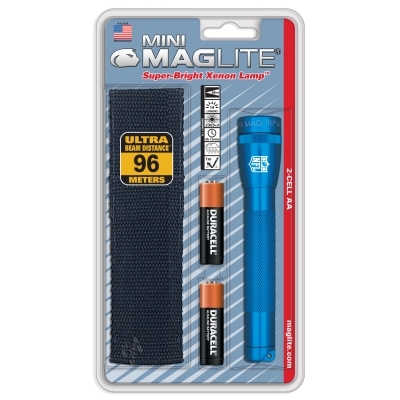 MagLite M2A Flashlight and holster, with your Corporate Logo! The Mag-Lite M2A with a holster, on an attractive display card and blister pack. 2 AA batteries included. Includes “AA” Mini Mag-Lite® (M2A), 2 “AA” batteries and a nylon holster. Blister packed. Color: Shown above. Some colors are an extra charge, which shows in the color menu above.